Congratulations to this year's winners! If you are interested in applying for one of the Society of Ethnobiology’s Graduate Research Fellowships, see the announcement here. Ecological Knowledge Research Fellowship: Jorge Garcia Polo, Environmental Science, State University of New York (SUNY). Jorge is a PhD student in the SUNY College of Environmental Science and Forestry. His research centers on wetland restoration informed by both traditional ecological knowledge and restoration ecology in Lake Atitlan, Guatemala. His overall interests are with freshwater ecosystems, ecological and biocultural restoration and climate change in Mesoamerica. Indigenous Ethnobiologist Fellowship: Kaya DeerInWater, Environmental Science and Bio-Cultural Restoration; State University of New York (SUNY). Kaya DeerInWater is an enrolled member of the Citizen Potawatomi Nation (CPN) in Oklahoma. He is currently a first-year graduate student studying Bio-Cultural Restoration in the SUNY College of Environmental Science and Forestry. Kaya’s research focuses on the traditional plant knowledge (TPK) of the Potawatomi. He is specifically interested in understanding the current and historic TPK of CPN members and how CPN member knowledge relates to the plants present on CPN tribal lands. Urban Ethnobiology Fellowship: Amanda Thiel, Cultural Anthropology, Washington State University. Amanda is a first-year PhD student at Washington State University. She conducts research with Guatemalan Q’eqchi’ Maya communities of various sizes—from rural village to semi-urban. Her research seeks to understand how acculturation and cultural values affect ethnobotanical medical knowledge and practice in these communities. Amanda’s previous fieldwork in one Q’eqchi’ Maya village centered around utilitarian aspects of local ethnobotany and the variation in the cultivation of medicinal plants in village homegardens. Urban Ethnobiology Fellow Amanda L. Ellwanger, PhD candidate in the Anthropology Department at the University of Texas at San Antonio. As an ecological anthropologist and ethnoprimatologist, Amanda’s research interests center on niche construction, primate behavioral ecology and behavioral flexibility, peoples’ attitudes and experiences with animals and the environment, social network analysis, human-animal-environment relationships, and conservation and management strategies to promote coexistence between people and nonhuman primates. 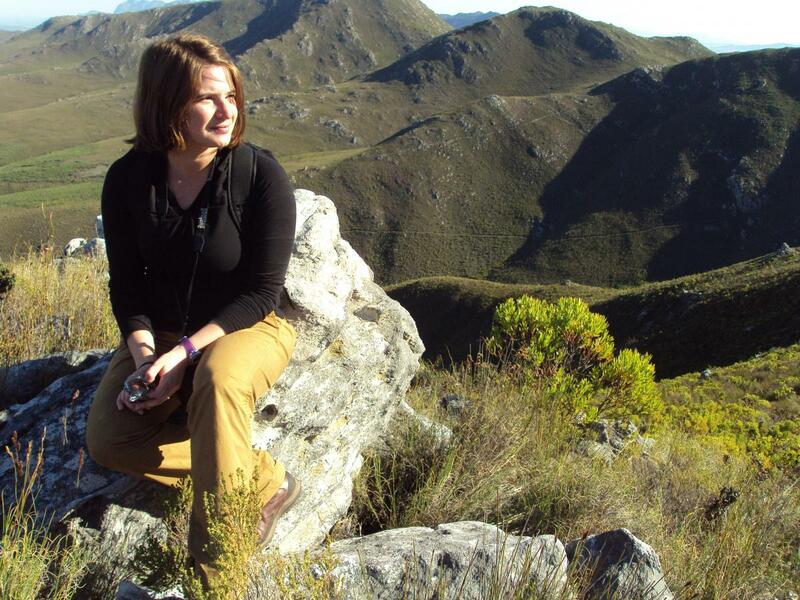 The Urban Ethnobiology Fellowship will support her doctoral research to examine how human niche construction, via cultural behaviors and ecological impacts, influence chacma baboon foraging and social relationships in Western Cape, South Africa. Amanda’s research supports a broader perspective of community ecology by investigating how humans and animal mutually shape each other’s ecological and social environments. 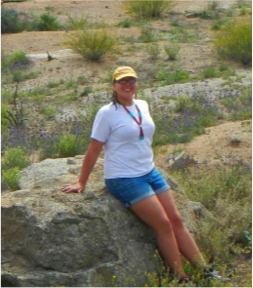 Ecological Knowledge Research Fellow, Nicole Mathwich, PhD student in Archaeology, University of Arizona, School of Anthropology. Nicole pursues her research interests in the intersections of ecology and colonialism at the University of Arizona and the Arizona State Museum. For her PhD research, Nicole investigates how indigenous peoples in southern Arizona and northern Sonora negotiated the colonial introduction of livestock into their own preexisting practices of agriculture, hunting, and gathering. Her research will examine seasonal livestock grazing and watering in the Sonoran Desert using stable isotopes, and shifts in hunting patterns as a result of ranching by using zooarchaeological analysis. Funds from the Ecological Knowledge Research Fellowship will be used to conduct stable isotope analysis of cattle and sheep teeth from Spanish colonial sites. Ecological Knowledge Research Fellow Alex McAlvay, PhD student in Botany Alex McAlvay is a Botany Ph.D. student in Dr. Eve Emshwiller's lab at the University of Wisconsin-Madison. He became he became passionate about traditional plant management while studying Biology and Anthropology at Western Washington University. Since his undergraduate, he has worked to promote the continuity of traditional ecological knowledge with the Huichol Center for Cultural Survival and Traditional Arts, Herbal Anthropology Project, Common River, and other non-profit organizations. The Ecological Knowledge Research Fellowship will support Alex's transportation, interviews, and herbarium collections in the Mexican states of Oaxaca and Puebla. His dissertation focuses on the formation of new ecological knowledge around introduced plants and the evolutionary implications of these new relationships for the plants. Specifically, he studies the interactions between seven highland Mexican cultures and (delicious) introduced feral field mustard (Brassica rapa). Indigenous Ethnobiologst Fellow Jessica Orozco, PhD student at the Rancho Santa Ana Botanic Garden, through Claremont Graduate University. As an Indigenous graduate student in botany, her research interests lie in the floristics of the California flora; she is currently completing a floristic study in the southern Sierra Nevada. Other research interests include studying the relationships between people, culture and plants and how anthropogenic forces have influenced plant selection and distribution of species. For her PhD project, Jessica is interested in investigating how Indigenous peoples' use and trade of Salvia columbariae has effected its distribution. The trading and selection of S. columbariae seeds among tribes in North America could have expanded its current distribution into regions not previously occupied. Jessica is investigating genetic signatures of plants throughout this species’ geographic distribution, in a range of habitats, and in relation to known trajectories of human transport in order to try to reconstruct patterns of anthropogenic long-distance dispersal. Urban Ethnobiology Fellow Diana Chen, PhD student in the Environmental Dynamics program at the University of Arkansas in Fayetteville. Diana's research interests include Urban Ethnobiology, Native American Ethnobiology, Deep Ecology, and Food Studies. Her research proposal is for an ethnographic study of foodways in the burgeoning Marshallese community in the relatively small mid-South city of Springdale, Arkansas. Studies of food and culture have become immensely popular among both academics and the general public, however there is not yet a work of this sort for the Republic of the Marshall Islands (RMI) or its related communities even though Global Change threatens to submerge the RMI within this generation. Diana’s research seeks to explore how knowledge of traditional Marshallese foodways is conserved or transformed by immigration to Springdale, and to preserve this knowledge for future generations of Marshallese people. Ecologica l Knowledge Research Fellow Maia Dedrick, PhD Student in Anthropology, University of North Carolina, Chapel Hill. Maia Dedrick is a graduate student in anthropological archaeology at the UNC at Chapel Hill, studying with Dr. Margie Scarry and Dr. Patricia McAnany. Her dissertation research is a study of household foodways and economic activities within the community of Tahcabo, Yucatán, Mexico, over an extended period of time, from the Late Classic through Colonial periods (600-1800 CE). She grew up in a musical family in St. Paul, MN, and loves to play cello. The Ecological Knowledge Research Fellowship will support Maia’s ethnobotanical research on rejolladas, or dry solution sinkholes with properties advantageous for cultivation, within the community of Tahcabo. It will consist of interviews with owners of the rejolladas located in town and the collection of herbarium specimens and plant comparative material for future archaeological research. Interviews will address land tenure, garden maintenance, other uses of rejolladas, and their roles in agricultural intensification. Indigenous Ethnobiologist Fellow Blaire Topash-Caldwell, PhD Student in Anthropology, University of New Mexico - Blaire is an enrolled member of the Pokagon Band of Potawatomi Indians and is currently a graduate student in the anthropology PhD program at the University of New Mexico. Her ethnographic research focuses on Indigenous artisanship, traditional ecological knowledge, and natural resource management policy in the Great Lakes area. She has worked in the Department of Natural Resources for her tribe, specifically in Tribal Historic Preservation, and is currently a liaison the Ortiz Center for Intercultural Studies at UNM where she does community outreach and community-based projects with Pueblos in the Southwest. The Indigenous Ethnobiologist Fellowship will support her research on Anishinaabe traditional black ash tree basketry in tribal communities in the Great Lakes area. Her focus is on the ways in which these activities inform and intersect with tribally-based natural resource management initiatives deployed to combat the spread of an invasive species called the Emerald Ash Borer. She is investigating the roles of traditional knowledge systems in these initiatives, as well as the relationship between Indigenous ecological strategies and larger natural resource management policy. 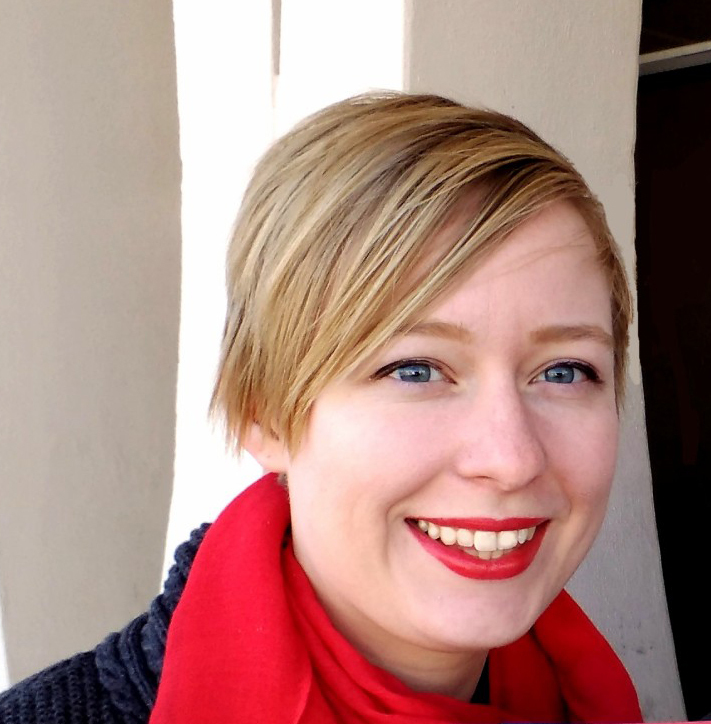 Urban Ethnobiology Fellow Kerri Brown, PhD Student in Anthropology, Southern Methodist University - Kerri is a Ph.D. student in medical anthropology at Southern Methodist University in Dallas, Texas. She received her B.A. in anthropology and psychology from the University of Texas at Austin in 2011, and her M.A. in medical anthropology from Southern Methodist University in 2014. The Urban Ethnobiology Fellowship will support Kerri's dissertation research in Rio de Janeiro on recently implemented policies governing the use and growth of medicinal plants in Brazil, and those policies' effects on cultural meanings surrounding medicinal plants at the local level. Specifically, she is interested in the ways that African diasporic communities use their knowledge of medicinal plants to gain recognition from the Brazilian government and the general public. If you are interested in applying for one of the Society of Ethnobiology’s Graduate Research Fellowships, see the announcement here.